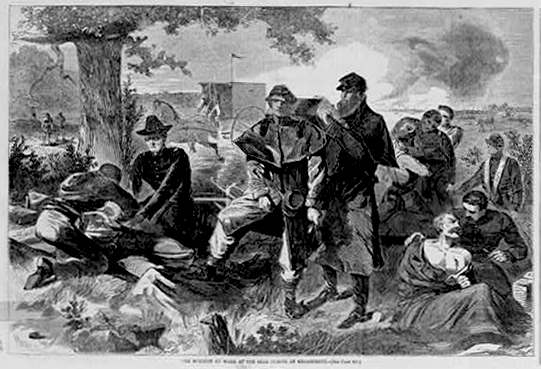 Without anesthesia, the pain and agony of injured Civil War soldiers can only be imagined, given modern medical practices. Large explosive shells fell on soldiers and bullets were designed to shatter flesh and bones. 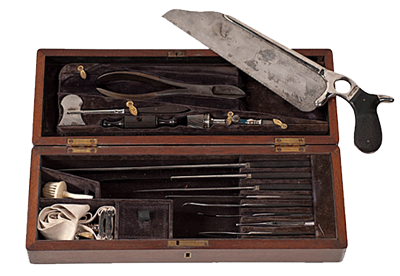 Civil War medicine was limited and surgical procedures were antiquated. 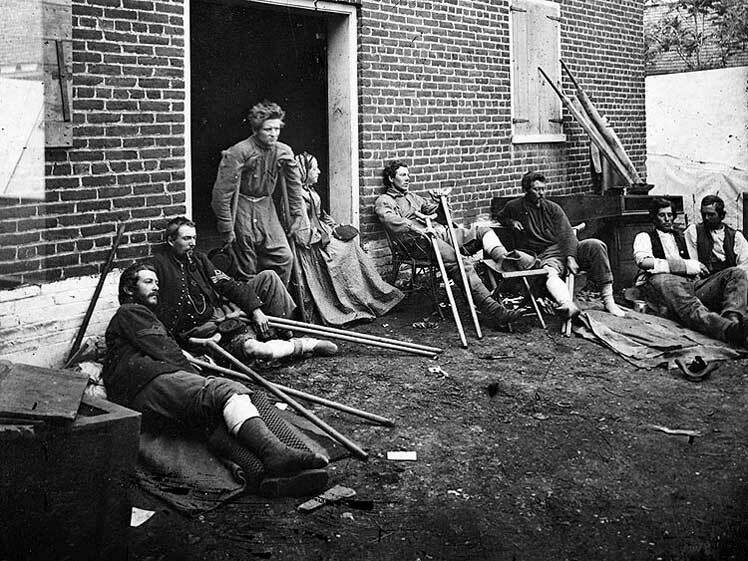 Civil War doctors were not trained for the number and kinds of wounds encountered. Many times their only recourse was to amputate. Other illnesses were left untreated and could spread throughout a camp. One in five Northern and one in four Southern soldiers died of illnesses or wounds that did not heal. In the book Letters of a Civil War Surgeon, Major William Watson, surgeon with the 105th Pennsylvania Regiment, wrote 91 letters to his family in which he described his own war against death and disease. (left) Chloroform manufactured by R. S. T. Cissel; (right) Administering ether, c. 1863. 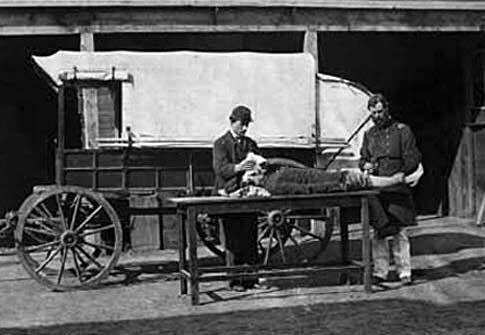 A hospital wagon is just behind the setup, which may be posed just for the photograph. The Georgia physician, Crawford Long, had first administered ether during surgery in 1842. Crawford Long administered ether for the removal of a tumor from the neck of James M. Venable, in what was the first known administration of a gas for surgical pain relief. Long did not publish an account of this until December 1849, when it appeared in the Southern Medical and Surgical Journal. French physiologist Marie Flourens had determined in March 1847 using animal subjects that inhalation of chloroform acted like ether. It was some months later that chloroform was used in clinical practice by James Simpson in Edinburgh, Scotland. During Civil War years use of antibiotics were rare; chloroform was used more often than ether. A variety of makeshift painkillers were also used, like unprocessed opium, and when nothing else was available, whiskey was an effective antiseptic because of the alcohol content. Whiskey could also be drunk before amputations putting the patient into a stupor. 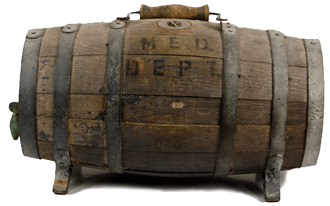 Civil War ambulance water casket. Note the MED. DEPT. stamp on the front.